The members of the Nantucket Police Department, exist to serve all people within their jurisdiction with respect, fairness, and compassion. Committed to the prevention of crime and the protection of life and property; the preservation of peace, order and safety; the enforcement of laws and ordinances; and the safeguarding of constitutional guarantees. 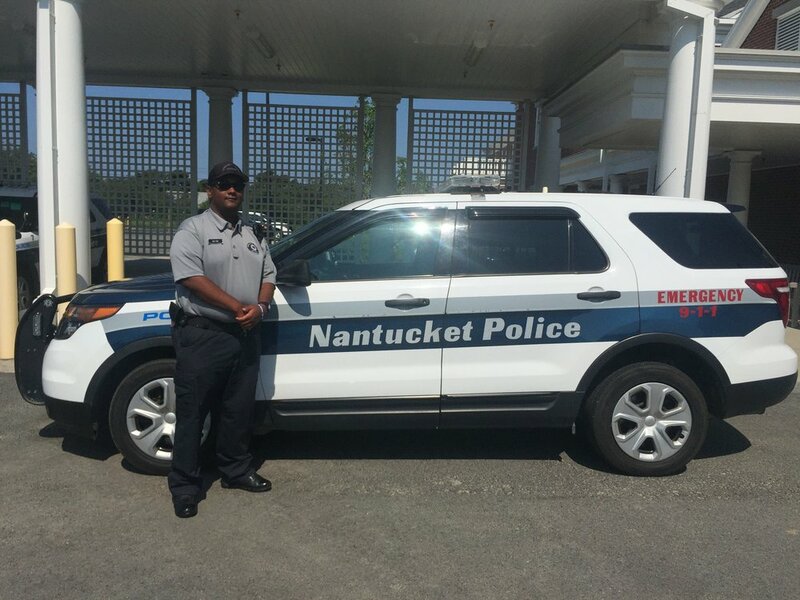 My duties as a Community Service Officer (CSO) for the Nantucket Police Department (NPD) consisted of working foot patrol in downtown Nantucket, assisting with parking and traffic enforcement, crowd control, security, and more. I also worked at the substation two days a week assisting the town by answering questions, retrieving lost items and bringing them to the main station, etc. While working with the NPD, I learned many different hands-on techniques on how to deal with face-to face confrontations, security techniques, radio traffic skills, traffic and parking laws, Nantucket bylaws, and the overall experience of working within a police department. The industry skills that I have learned include dealing with radio communication with a lot going on at once and remembering that not everyone can speak at the same time, and understanding that management follows the NPD chain of command. I have gained so much experience it is hard to put it all in words. This internship will help me after I graduate because now I have experience in my field and this is definitely what I want to do. This internship has inspired me to strive harder to get on a police department. I don’t believe my home state has this type of a program for internship so I will now be able to bring this experience home and speak about it in a wonderful way. Treat your internship as if it was your career job so that you can either show your passion for it or figure out if you need to readjust and find a new career path to take. You don’t want to wait until you graduate to find out that you are not going to love what you will be doing. If you have an opportunity to take an internship do it! Anyone can study or remember a term for an exam, but actually doing the job could change everything. I was so caught up in my internship I forgot I was an intern. I felt like a real part of the department, which is how everyone’s overall experience should be. Want more? Visit link.jwu.edu > jobs & internships to learn more about the importance and how to apply for internship. This is a starting point. To learn more see an experiential education coordinator. Figmints is a boutique full-service creative studio that churns out some of the most scrumptious branding and identity, interactive UI/UX, video story-telling, and marketing know-how this side of the Milky Way. Founded by Design Chef, James Kwon, Figmints has worked with several Fortune 500 companies such as CVS/Pharmacy, Constant Contact, U.S. Cellular, Burt’s Bees, and Aramark Food Service, while retaining its passion in serving the non-profit and small business sectors nationwide. Originally, I was hired as a Video Production Intern but I’ve done so much more than could fit under that umbrella. For the first few weeks at Figmints I spent most of my time: helping film videos around the office; filming interviews; learning to use professional mic, lighting, and video equipment, editing videos together using Premiere Pro, and documenting footage. Later on I was exposed to even more areas of the field, branching off into food photography, location photography, animating logos and assets in After Effects, performing website audits, photo editing, and attending sketch sessions. From day one Figmints put me to work in a positive way. I’ve learned quite a few new industry skills as well as fine tuned skills I already had. Working with professional video equipment as well as setting up sets has improved my video production skills exponentially. In addition, I also furthered my skills in Adobe Premiere Pro, After Effects, and Photoshop, as well as worked with video cameras I never even knew existed before this internship. I improved my skills as an employee. When I first started working for Figmints I was nervous and unsure of my place in the office, as most people are when they start a new job. However, after just a few days I felt at home. The staff at Figmints welcomed me with open arms into the everyday norm of the office and encouraged me to get my hands dirty with as many projects and experiences necessary for me to get the most out of my internship. I would encourage students to look for an internship that’s not in their hometown. Look for the best internship that will be fulfilling instead of finding one just out of convenience. I’d say look for an internship that will benefit your career in the long run. At the end of the day, employers are looking for college graduates who not only have the right degree, but the right internship. Finding the right internship can kick start your career; that’s what it did for me as the newest Figmints employee! Chancellor John Bowen visits with Dr. James Griffin Associate Professor, and David Salcfas '88 Hotel Manager of the NY Marriott Marquis during the Food Service Hospitality Career Fair this fall on the Providence Campus. Experiential Education & Career Services hosted a full docket of career events this fall bringing students the opportunity to meet with, network with, apply for, and interview on-campus. This work wouldn't be possible without the support of our faculty and administration. A strategic collaboration with faculty and Experiential Education & Career Services ensured strong attendance by students. Hospitality faculty gave specific assignments to students to encourage participation and The College of Culinary Arts faculty provided guided tours to freshman who attended the career fair for the first time. We asked a student for her impressions of the day. Charlotte Brecher received her associates in baking & pastry arts and will graduate with her bachelor's in Food Service Management this spring. She has been to several career fairs during her time at JWU. Last Fall, she landed an internship at the career fair and spent the winter term at Bar Boulud in New York City. She had the opportunity to return this summer and worked at both Bar Boulud and Boulud Sud. She has kept in touch with her chef and had the opportunity to meet up with her during the career fair. 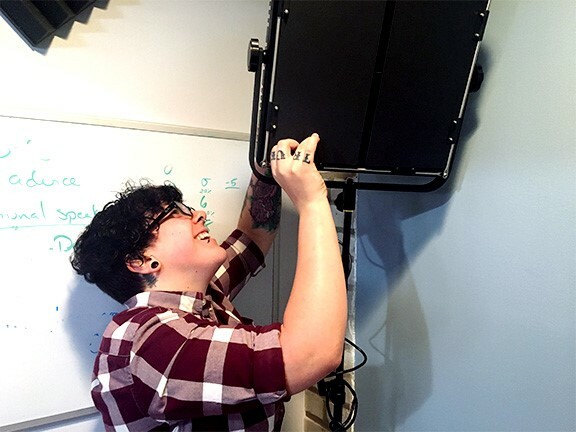 Charlotte was excited to reconnect with Chef and illustrates a great example on the value of networking and staying connected beyond the internship experience. 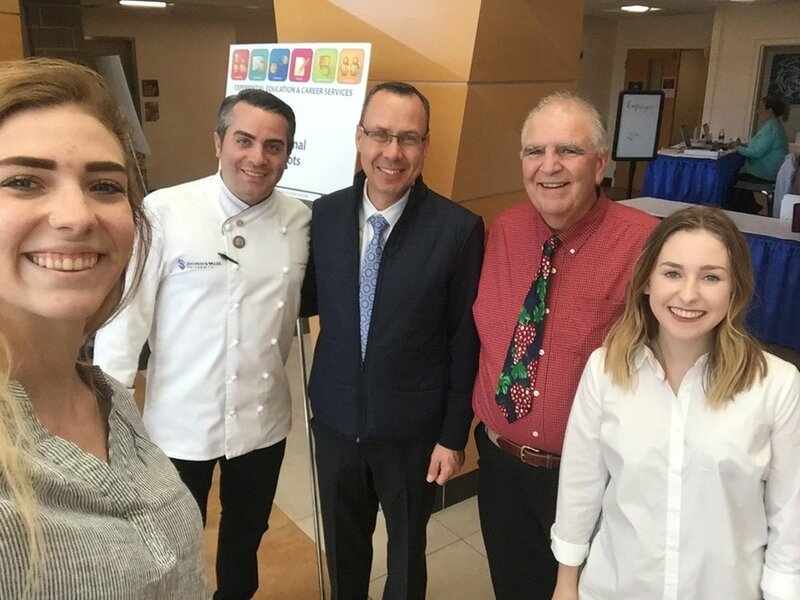 Students Charlotte Brecher and Hannah Sylvester pose for a selfie at the career fair with Chef TJ Delle Donne Assistant Dean, Dr. James Griffin Associate Professor, and Chef George O'Palenick Associate Professor. Visit Experiential Education & Career Services to find out more about internships, prepare for career events, resume critiques, mock interviews, and more. Hear what employers had to say about our talented Engineering & Design Students attending this year's event. Want more? Visit link.jwu.edu > jobs & internships > career events to learn more about preparing for a career event with our career advisors. The Merrion Hotel, located in the heart of Dublin city centre, which is the capital’s most luxurious five star hotel, and a proud member of The Leading Hotels of the World. On internship my title was Kitchen Placement Chef. 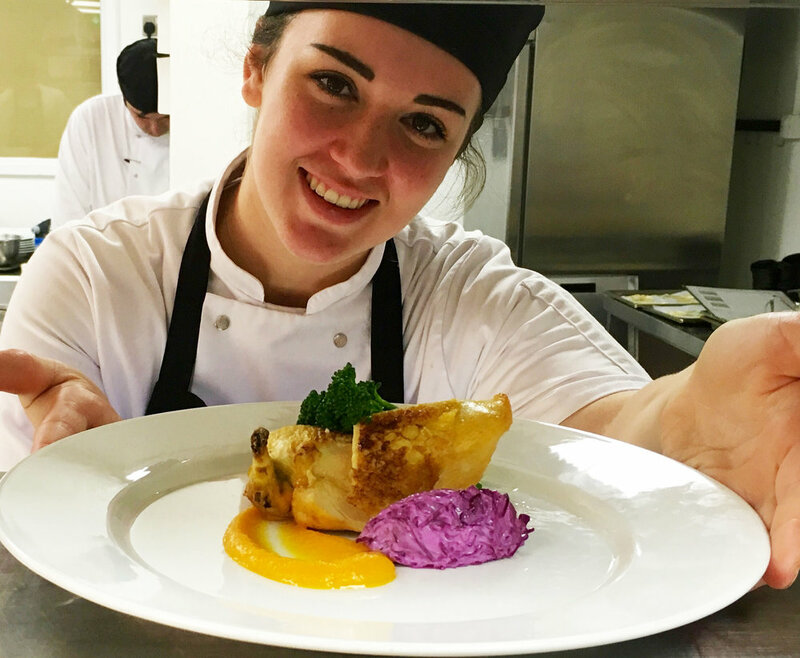 I was treated as a commis chef and worked closely with the hotel’s Chef de Partie to complete tasks for the day, whether it was prepping for service, working on a line, prepping for a private function, and/or assisting in plate up for a private function. Working at a 5-star hotel was an unbeatable experience. Not only were the products we used sourced locally and supremely top-notch, but listening in on the Executive Chef’s morning briefs to hear a roster of the VIP clientele we were preparing for really had an effect on the mentality of the kitchen. We knew we needed to serve an excellent meal, and we knew we would be proud of the outcome at the end of the day. I had the opportunity to attend a management meeting at The Merrion where I saw the endless possibilities of this industry. I spoke with the Food and Beverage Director, Hotel Manager, HR Director, Executive Chef, and a multitude of supervisors, and saw first-hand how every single position was pivotal to the business. I quickly realized that there are countless ways to stay in this industry for the long term. Before leaving for internship, I thought I knew the swing of things at home, and even thought Dublin wouldn’t be too much of a change. My mind was quickly changed when I became fully immersed in another culture by cooking and cleaning side-by-side with Chefs and co-workers who quickly became friends. This experience taught me to not only keep an open mind, but to keep a curious mind. The practical skills I learned from this experience alone will help me in my future career. Catering to such high clientele was a great experience on its own but being able to say I worked in Europe will also set my resume apart from my peers. Because of this experience, I plan on completing my senior level internship by going abroad once again, this time through JWU’s Pan-Asian Cuisine and Culture program to Singapore and Thailand. In addition, I plan to continue my studies at JWU to earn my MBA and seek out a management training program after graduation. Why? Because attending that one management meeting opened my mind to the possibilities in management by being exposed to different lines of the business. Do not let any opportunity slip away. If you face each opportunity as a new experience and a new adventure, you will learn and grow more than you could have ever expected. I certainly did.